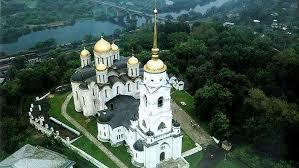 Kostroma is the northern town of the Golden Ring. 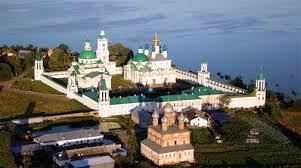 It is located 372 km to the north-east from Moscow, where the Kostroma River flows into Volga. For the first time the Town of Kostroma was mentioned in the Russian chronicals in 1252, though it was founded a bit earlier. The impressive Ipatiev Monastery was constructed in the picturesque place in the estuary of the Kostroma and the Volga rivers. Kostroma is the only town of the country in which the original layout of the town centre is preserved. Rostov Veliky is located on the picturesque bank of Nero Lake, approximately 200 km from Moscow. Founded in 862, Rostov is older than Moscow. It was an important political, economic, cultural and religious centre of Russia at that time. The Assumption Cathedral, built in the 16th century, is the most important church of the city. 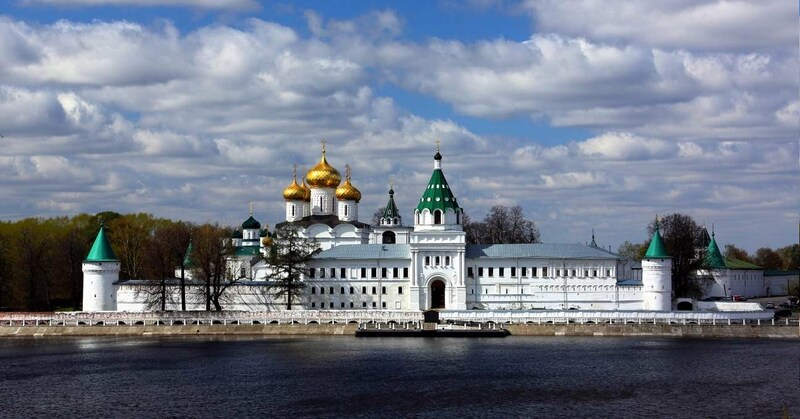 The cathedral architecturally harmonises with the walls and the towers of the Rostov Kremlin. Rostov Veliky is famous for its enamels - finifts. It is a glass fused in a particular way and coloured with oxides of metals in different colours. 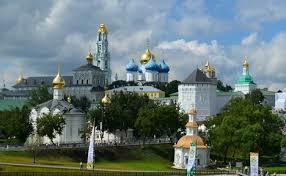 Sergiev Posad is situated 70 km to the northeast from Moscow. 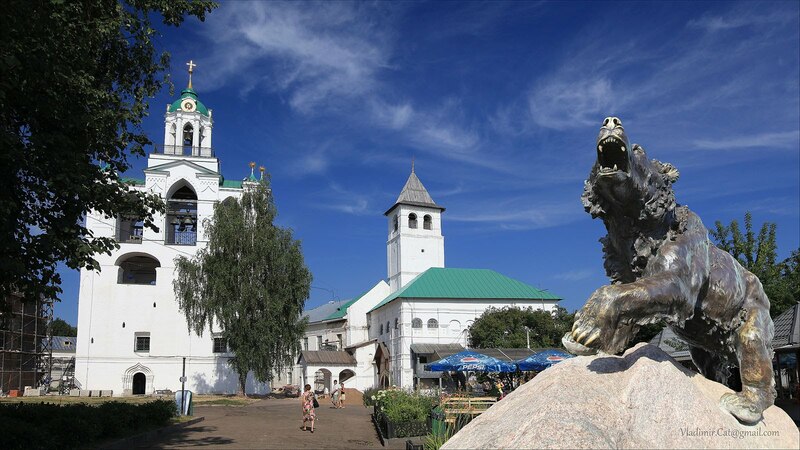 It was named in honour of Sergius Radonezhsky, the great saint of Russian land. His relics are kept in the Trinity-Sergius Lavra. The heart of the monastery is the Assumption Cathedral. Built in 1422, the Trinity Cathedral is the oldest edifice of the monastery, some of its frescoes were painted by Andrey Rublev, the greatest icon painter of medieval Russia. Suzdal - the unique town-museum is located in 220 km to the north-east from Moscow in the typical Russian landscape. With more than 300 historic buildings, Suzdal is the best preserved ancient Russian town. For the first time the town name was mentioned in a manuscript in 1024. There are two largest cloisters in Suzdal: Spaso- Efimiev Monastery and Intercession (Pokrovsky) Convent. Both cloisters are well preserved. The oldest part of the town is the Kremlin with the Nativity Cathedral, constructed in the 13th century. Vladimir is located 190 km to the north-east from Moscow on the Klyazma River. Founded in 1108 by Prince Vladimir Svyatoslavich, the town acquired more and more significance and became the capital of Great Vladimir-Suzdal Principality. The unique Assumption Cathedral is a symbol of the city. It was built in 1158-1160 as the residence of the bishop and the prince. For many centuries this structure with white walls and five domes served as a model for many other Orthodox churches including cathedrals of the Moscow Kremlin. 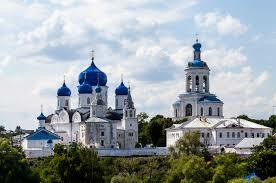 Yaroslavl is located on the Volga river, 282 km from Moscow. According to the legend, Prince Yaroslav the Wise founded a fortress here in 1010 after he had defeated a huge bear on this spot. The rampant bear is depicted on the coat of arms of the city. Owing to the location at the intersection of important trade routs, Yaroslavl became one of the most important trade centres of Russia. On the territory of the Saviour’s Monastery, founded in the 12th century, the oldest building of the city - the Transfiguration Cathedral - is situated.